Time to tackle football's last taboo? Whilst the subject of racism has dominated the football news agenda recently, the issue of homophobia has continued to take a back seat. Homophobia remains football's last taboo, but campaigners hope that developments this week will mark a turning point. There are no openly gay footballers in the UK, nor have their been since Justin Fashanu - the first footballer to come out as gay - sadly took his own life in 1998. Football authorities have long been accused for not offering support to gay footballers - a criticism the English FA hoped to put right this week with the launch a new campaign aimed at tackling homophobia. The Opening Doors and Joining In campaign aims to promote inclusion within football, address discrimination and increase diversity through a six-point FA action plan: education, visibility, partnership, recognition, reporting and monitoring. FA General Secretary Alex Horne said the campaign aimed to ensure that "anyone can participate in our game without fear, regardless of their sexuality. If someone is gay, we want them to feel secure if they choose to be open and know they will not be subject to abuse or ridicule." 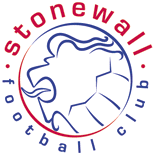 Stonewall FC are the UK’s most successful gay football team. The London club - who play at Step 7 of the football pyramid – were formed in 1991 but, according to their manager, the game has done little to combat homophobia since then. “It’s not tackled the same way as racism is and, as such, it’s deemed fair game if you like,” Najib Armanazi told Channel 4 News this week. “You still get where people think it’s banter to use offensive terms. It doesn’t necessarily mean they are deep-rooted homophobic but until the one stops the other is not going to stop." But this week could mark a turning point for the players at Stonewall FC and other LGBT (lesbian, gay, bisexual, transgender) footballers. As well as the launch of the FA's new campaign, the issue of homophobia was also debated at 10 Downing Street in a summit aimed at tackling discrimination in football. The Prime Minister gathered football's governing bodies, anti-discrimination groups and current and former players to the discussion, all of whom were asked to contribute their ideas for how to combat discrimination in the game. 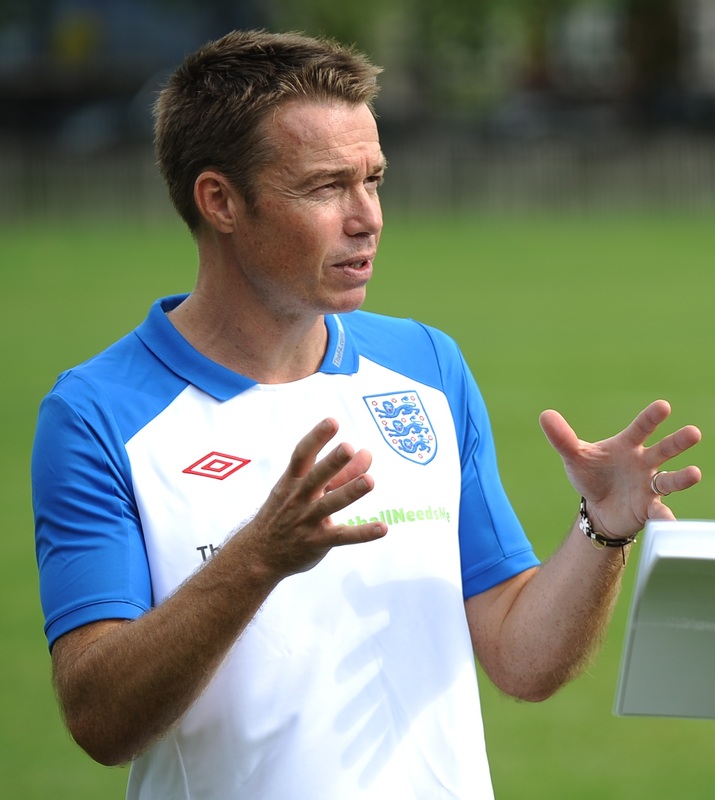 One of the players in attendance was ex-Chelsea and England star Graeme Le Saux, himself a victim of anti-gay taunts as a player. "Unfortunately I don't think we've come a long way at all [since then],” he told BBC Radio 5 Live. “What I have had to say about my own experience is still as relevant today as it was when I was going through it some seven or eight years ago. That is a sad reflection on the fact that this issue hasn't been addressed. "But this week, with what the FA have done and again today with the meeting at Downing Street, it's very much on the agenda now to be resolved. Following the summit, the FA have been given two months to compile a report on how they, other football authorities and government can take the agenda forward, including dealing with the issue of homophobia. "It's not about outing gay football players," added Le Saux. "It's about creating an environment where gay players feel that football offers them something." Creating that environment in the alpha-male world of professional football will be no easy task, as PFA Chairman Clarke Carlisle pointed out. “There is a stigma about homosexuality and this is why the coming-out process is such a traumatic one," said the Burnley defender. 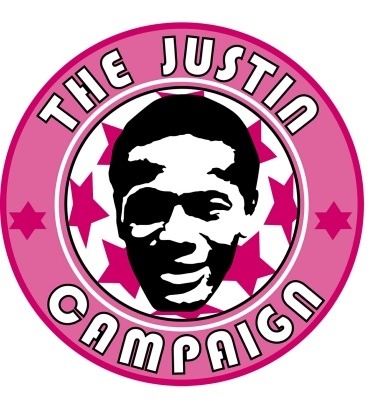 Sadly the experience of the only British footballer to come out remains a cautionary tale, but the tragedy of Justin Fashanu's death has been harnessed to a positive end, courtesy of The Justin Campaign. Founded in 2008, the international campaign aims engage with those within the game to challenge and eventually eliminate prejudice and discrimination throughout football. This week the Campaign have launched their third annual Football v Homophobia initiative as part of LGBT History Month. Endorsed by the Football Assocation, 'FvH' aims to "make grassroots football a welcoming and inclusive place for everyone, regardless of their gender identity or sexual orientation". They call on grassroots players to support football in the fight against homophobia in various ways, from the use of social media to attending events or fundraising for the campaign. If debate is fundamental to breaking down stereotypes and challenging discrimination, the events of this week can only help to further football's stance against homophobia. But discussions, even those held in the corridors of power, count for little unless positive action is taken as a result. The FA's 'Opening Doors' campaign is a step in the right direction and their upcoming report to government will provide a further opportunity to move the agenda forward. David Bernstein, speaking from Downing Street after this week's summit, said the time had come "to really let actions speak louder than words." Gay footballers and fans everywhere will hope that the FA Chairman and his colleagues are true to their word. Only then, and with the football community behind them, will 'Football v Homophobia' cease to be a one-sided affair. 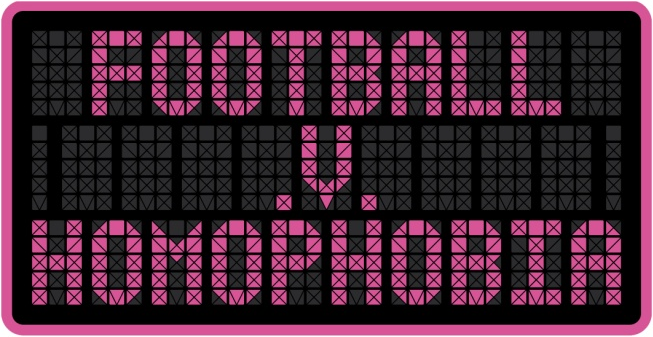 To find out more about 'Football v Homophobia' visit footballvhomophobia.com.